An ale that repeats a name from a different ale two years ago, and is also brewed on two different continents to different recipes. Confused? Once upon a time maybe you wouldn't have been – the versions would have been too far apart in time and space. But with the advent of the Web, all that has changed. A few months ago, several US brewers travelled to visit UK breweries at the invitation of the JD Wetherspoon pub group. They were here to brew versions of their ales that would be cask-conditioned and sold exclusively in JDWs, nominally for its real ale festival. So far, so good – and indeed, some of the resulting beers were very good. But it also resulted in a discussion on Untappd last night: the site had acquired three listings for what, at first glance, appeared to be the same beer: Stone's Supremely Self-Conscious Ale, which appeared in the most recent JDW festival as Stone Supremely Self-Conscious Black Ale, brewed at Adnams in Suffolk. All three listings included mentions of Wetherspoons – so what was going on? It took a bit of Web digging, plus a hunt through the 'archives' on Ratebeer and BeerAdvocate, to come up with an explanation. Along the way I found an entry on Stone brewer Mitch Steele's blog where he described his trip to Adnams and the fact that the Black Ale is a variation on a SSCA, which was a Black IPA brewed at Stone's Liberty Station 10-barrel brewpub, initially at least from the second runnings of its Sublimely Self-Righteous Ale. 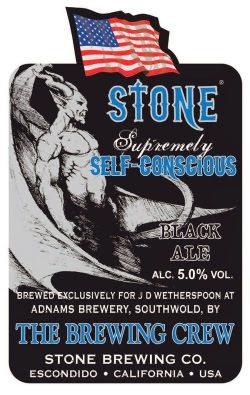 Here's what I think happened: in 2011, Stone released a 3.5% dry-hopped Black Mild (nowt wrong with that – 'mild' means un-aged, not un-hoppy, and milds can be light or dark), this was around for a short while and got listed on all three of the beery sites mentioned above. 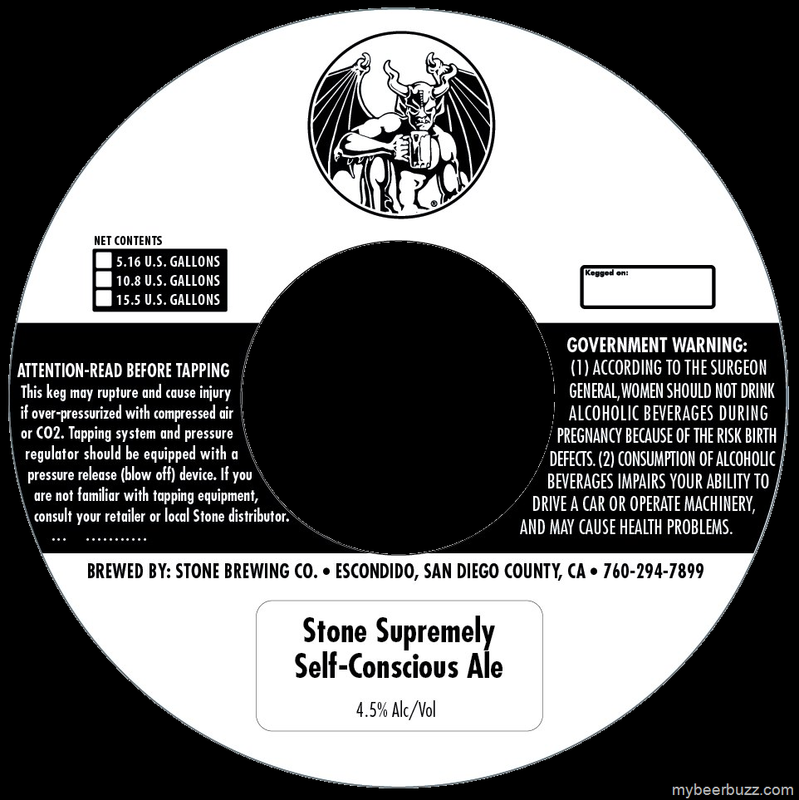 Then in 2013, it revived the name for a 4.5% Black IPA – here's the keg label – which was brewed twice (says Mitch Steele) and was also served at this year's Great American Beer Festival and at several Stone events. This too got picked up by the beer listers, all of whom seem to have rather carelessly (given the different ABV & style) assumed they were drinking the 2011 beer. The Ratebeer entry comes out weirdest – three-quarters of the rates are the BIPA, but it's still listed as a 3.5% mild; the Untappd one had its description and ABV adjusted earlier this year, the latter from 3.5% to 5.2%. Why 5.2%? I don't know, but by the look of it the ABV changed from 4.5% to 5.2% - probably the former was the pilot brew from second runnings and the latter was the commercial brew at Liberty Station.If anyone from Stone is reading this, could they comment please?